It is only faith that can save us from our problems. I pray with you and believe that God is able and soon He will come to your aid and help you clear your debts. You know both of us are in the same train, financial distress. 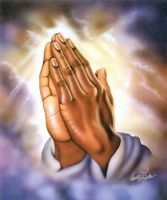 Lets just pray together and tighten our faith in the Lord that He will make a way for us where it seems theres no way. Nothing is impossible for Him. We will just keep on asking and someday He will send us the answer to our problems. He will bail us out from our debts. Lets just have faith. Lets pray together. God bless you.